This is an amazing corpus, and I think it throws important life on both the theory and the history. It is historical sociology on a macro-scale; and yet Mann also provides careful, almost ethnographic details at the level of individual actors — fascists, ethnic paramilitaries, legislators, colonial administrators. So I think Mann also offers a great example of a sociologist who is not prisoner to a single methodology or a single avenue of approach to these supremely complex social processes. Another admirable dimension of Mann’s approach to this long sweep of history is his insistence on the contingency and conjunctural character of that history. Mann doesn’t try to reduce any of the periods he considers to a simple organizing theme — “modernization,” “colonialism,” “resistance.” Instead, he recognizes the degree to which the historical process is heterogeneous across space and time. Fascism had different dynamics in Spain than in Germany; and both were distinct from the fascist ideologies of France between the wars. 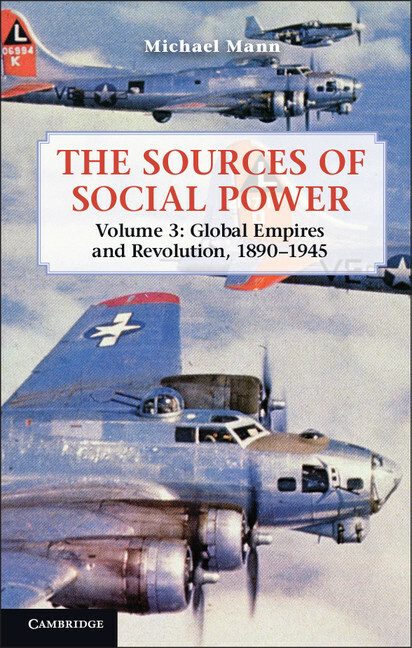 Empire and globalization are central topics in the final two volumes of the work. This reflects Mann’s historical judgment that the past century or so has been structured by the internationalizing pressures of economic and military interest to create broader systems of control. I’m looking forward to reading these final two volumes carefully. In the meantime, though, I’m struck by an interesting parallel between Mann’s approach to this set of histories and that offered by Eric Hobsbawm a generation earlier. « What is “critical” about critical realism?